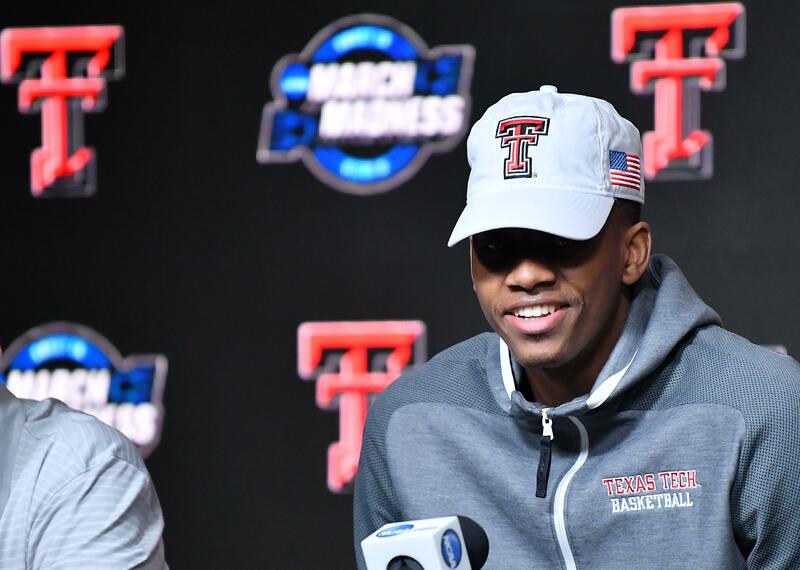 Fri., March 29, 2019, 10:30 p.m.
ANAHEIM, Calif. – Blessed with an ability to finish at the rim, pop a quick mid-range jumper and drain the occasional 3-pointer, sophomore Jarrett Culver is the ultimate weapon for Texas Tech. Projected to be a lottery pick in this year’s NBA draft, Culver blends solid size (6-foot-5, 6-9 wingspan) with a frame that allows him to body his way around inside. He plays above the rim in space and has played more point guard this season than last. He checks all the boxes of a prototypical playmaker. Gonzaga’s Zach Norvell Jr., who has drawn the top assignment against multiple teams this season, will get the first crack at defending Culver. Culver was a three-star prospect coming out of high school, ranked 312th in the country by 247Sports. He added 2 inches, almost 30 pounds and reworked his shot to become the top prospect he is today. The Lubbock, Texas, native was the Big 12 Player of the Year, averaging 18.9 points and 6.4 rebounds a game. While Norvell has the challenge of guarding Culver first, Few understands the difficulty of slowing down a player of his quality. That means the other six or seven Zags have to ready to find themselves lining up against Culver. Brandon Clarke will certainly meet Culver in the paint, as the guard likes to attack the rim. The Zags have played four other projected lottery picks this season – Duke’s RJ . Barrett, Zion Williamson and Cam Reddish, and North Carolina’s Coby White. Williamson scored 22 points and Reddish had 10. Barrett scored the most of the Duke trio with 23, but he was 9 for 25 from the floor. The NCAA might face all sorts of questions about a laundry list of issues, but one aspect it nails is the food it provides at its tournament locations. Teams have their own buffets inside or outside their locker rooms and as much Coca-Cola sponsored products as they could dream of, including BodyArmor brand drinks. Texas Tech head coach Chris Beard has seen the highest of highs and the lowest of lows as a head coach. He reminded Jim Rome on Wednesday of a story he told Rome in 2015 after his Little Rock team upset Purdue in the NCAA Tournament. It was the story of the first time the two had met. It was about 10 years ago during Beard’s days as a junior college coach, when food was far more scarce compared to the royal treatment he enjoys in Division I. He and his staff were looking for a big buffet, but had no luck. That was before he ran into Rome in the elevator. Beard made an appearance on Rome’s show on Wednesday to discuss the Red Raiders’ matchup with Michigan, and Rome’s ability to hook up Beard came up again. Beard made sure Rome would have all the food he could consume if Rome made it to the Honda Center on Thursday night. It is much easier for Beard to offer that to Rome now than when he was the head coach of a JUCO team. There are much fewer options and options that just don’t have as much shine at those levels. “But at the Elite Eight they have Tiffany bowls and the silver spoons and I told Jim that the other day and somehow he got a picture of (me with Lucky Charms),” Beard said. “But the whole idea with Lucky Charms, I’ve spent my whole life staying at the Courtyard, and they have the plastic thing that comes down and you and I both know that cereal is stale, man. “But I love Lucky Charms, big-time cereal,” Beard said. Published: March 29, 2019, 10:30 p.m.